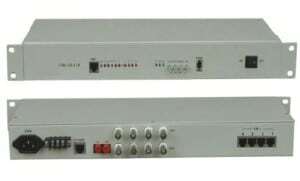 AN-E-PON-R is an EPON link amplifier developed by AD-net to benefit operators by extending their network link without any much additional hardware.AN-E-PON-R is compliant with IEEE802.3ah standard. It is compatible with any type of OLT/ONU available from other vendors in the market. The distance of the EPON system can be extended from the original 20Km to 50Km or even further. Here we’ve got 8 port EPON (GEPON) OLT, some ONU, splitter and our new EPON repeater / extender. As we can see it does not requires any settings and are really plug and and play! EPON OEO repeater - range extender, 1 PON optical transceivers comes in set, 1 PON transceiver on board. 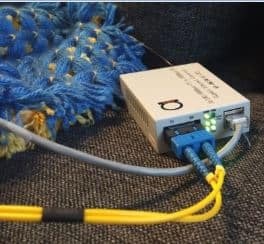 AN-E-PON-R can be used in coordination with the mainstream OLT/ONU in the market, so as to provide efficient and flexible long-distance EPON solutions.